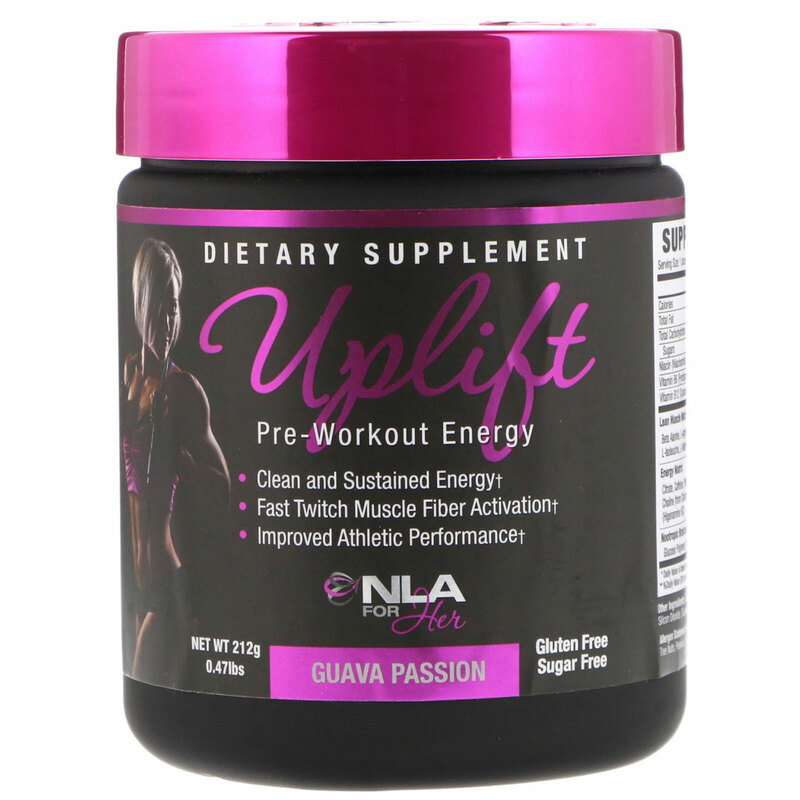 UPLIFT is our pre-workout formula dosed for Women and scientifically formulated to increase energy levels, improve endurance and increase fast twitch muscle fiber activation during your workouts. Supplementing with UPLIFT 20-30 minutes pre-workout will help you attack your workouts with intensity and focus, giving you sustained energy that helps you to push your body to a whole new level. As a dietary supplement, mix 1 scoop (5.3 grams) with 4-8 ounces of cold water and consume 20-30 minutes before beginning activity. This is to be done the first three (3) times using "UPLIFT". Under no circumstances should any of the warnings be ignored. Beginning with the 3rd time using UPLIFT, dose may be increased by, but more than, 1/2 of a scoop (2.65 grams). The ideal individual dose may vary between 1-2 scoops. Natural & artificial flavors, calcium silicate, acesulfame potassium, silicon dioxide, sucralose. Allergen statement: Manufactured in a facility and equipment that handles: Eggs, wheat, milk, tree nuts, peanuts, soybeans, crustacean shellfish and fish. Do not exceed recommended dose. Pregnant or nursing mothers, children under the age of 18, and the elderly and individuals with a known medical condition should consult a physician before using this or any other dietary supplement. Product contains caffeine and naturally occurring caffeine, which may cause restlessness and sleep difficulty in some sensitive people.